Anthony opened his shop at 17 Chestnut Street in the 1940's and we are honored to be continuing his legacy. 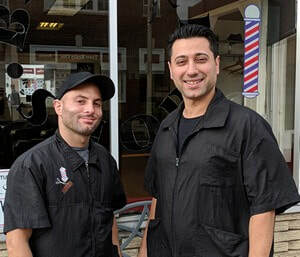 We believe in creating a warm and welcoming environment for adults and kids while providing quality haircuts with the attention to detail that you expect from a classic barber shop. There is simply no replacement for finishing off a neckline with warm shaving cream and a straight razor. We are proud that Anthony's Barber Shop has become a Needham institution, serving generations of local families. Whether you're bringing your son for his first haircut or you just want some good conversation while getting a trim, we welcome the opportunity to have you join in our tradition.